In keeping with this mission, the AAUSC offers a limited number of travel/professional development grants to members who wish to attend the annual convention of the American Council on the Teaching of Foreign Languages (ACTFL), which is held each November. The grant covers up to $500 and can be used to pay the conference fee to attend ACTFL, and travel or lodging expenses. Jen Vojtko Rubi is an Assistant Professor Educator and Coordinator of the Intensive Basic Spanish Language Program at the University of Cincinnati. She received her Ph.D in Second Language Acquisition from the University of Iowa and has graduate degrees in English as a Second Language and Spanish Linguistics. For her dissertation, she investigated how students in a flipped course constructed meaning from their out-of-class resources and explored their strategy use and learning paths. This led to the development of a training model for effective learning in flipped Spanish language courses. Jen is interested in TA training, the role of metacognition in language teaching and learning, and technology enhanced language learning. Lauren Goodspeed is a dissertator in the Second Language Acquisition Ph.D. program and a teaching assistant in French at the University of Wisconsin-Madison. She completed her M.A. in French Literature at the same institution in 2013. Her current research project lies at the intersection of second language writing and literacy-based pedagogies for foreign language instruction. I am incredibly grateful for the support that the AAUSC provided me to travel to my first ACTFL Convention and first national conference. For me, the entire conference experience centered on building relationships within the AAUSC. First, attending the AAUSC French Section Meeting and the AAUSC editorial board meeting allowed me to network with a number of future colleagues whose names I had heard and whose work I had read. Because I am currently transitioning from completing my doctoral coursework to working on my dissertation, it was a great professional experience for me to be able to put faces to names and start to see other AAUSC members as my colleagues. Second, I was able to attend presentations given by other AAUSC members, which sparked ideas for me as a teacher and a researcher. As a teacher, I was profoundly inspired by one presentation on how current events might be incorporated into the language classroom, specifically in the wake of national traumas such as the January 2015 attacks on Charlie Hebdo. As a researcher, I continued to grapple with Systemic Functional Linguistics, aided by the presentation of two of the most prominent researchers in the field of genre-based learning. Third, I was grateful to have many of the AAUSC members I met in the audience during my own ACTCL presentation. Having the support and feedback of these colleagues at my first national conference presentation was invaluable! I look forward to continuing to build relationships with my AAUSC colleagues. 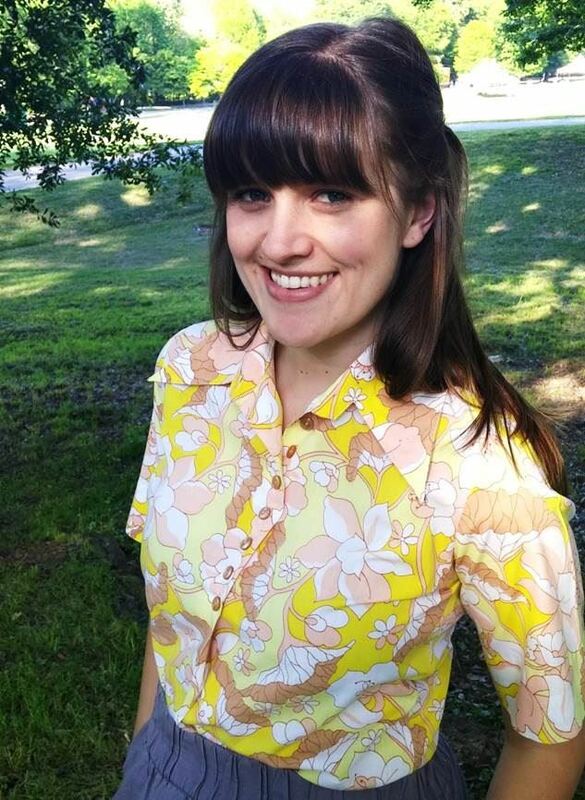 Kristin Lange is a Ph.D. candidate in the interdisciplinary doctoral program in Second Language Acquisition and Teaching (SLAT) at the University of Arizona. For her dissertation, she is investigating the role of everyday texts in textbooks and beginning German classes, focusing on learners’ literacies development, and also on the professional development of graduate teaching assistants. 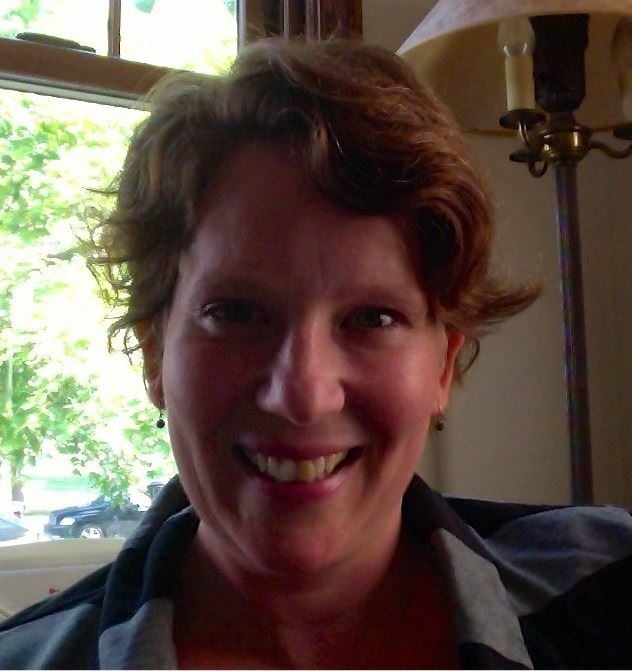 Some of Kristin's other research interests include literary texts and film in foreign language education, technology-enhanced language learning, particularly the use of digital games, and intercultural competence in the classroom and in study abroad. The ACTFL convention 2016 was the second time I attended the conference, and the first time as an AAUSC member. During these three days in Boston, I participated in many sessions within my research and teaching interests, learned about new tools and strategies for planning and conducting lessons, and could get many impressions and ideas from other language programs. I found it particularly valuable that I could exchange ideas with language educators from all kinds of different contexts, for instance Saturday schools, community colleges, or exchange programs. I could consider and integrate new perspectives and learn from others’ experiences. I also attended the AAUSC German Sector Business Meeting, and the AAUSC Business Meeting and Reception. Both of these events stood out to me because of my colleagues’ thought-provoking presentations, the productive and engaging discussions we had, and the supportive AAUSC community that welcomed me and that I could be part of. I’m looking forward to attending many more ACTFL conventions and AAUSC events in the future. Katie Chapman (Ph.D., University of Wisconsin-Madison) is a Lecturer in the Department of Germanic and Slavic Studies at the University of Georgia, where she coordinates the German language program and the dual-degree program in German and Engineering. She teaches language courses at all levels, as well a performance-based course on the theory and practice of German theater. Her research interests center around teacher and learner affect in the foreign language classroom; specifically, she has investigated students’ experiences of boredom during German language instruction, as well as how foreign language teachers see the role of their own cultural identity in the courses they teach. The 2015 grant recipients are announced below. Please join us at the AAUSC business meeting/reception at ACTFL to congratulate these members! Sara Mack (Ph.D. University of Minnesota) is Lecturer and Coordinator of Spanish 1004 at the University of Minnesota - Twin Cities. Her current research investigates psychosocial aspects of second language learning, with a focus on how metacognitive self-assessment, facilitated by technology tools, can be used to improve learning outcomes. Other research interests include mobile learning, learning and memory, and sociophonetics. Attending the ACTFL conference for the first time was very exciting and thought-provoking. There are several things that stand out in the experience and my interactions with AAUSC that will inform my future work as a Course Coordinator. One of our department's ongoing projects is to better support learners' writing, and through the presentations I saw examples of how writing tasks can be supported at all levels. Especially useful was a session on supporting students as they learn to write an argumentative essay. The argumentative essay is a key assignment in the course I coordinate, and I learned how we can better support our students to be more independent writers through structured tasks that attend to form as well as content. I was also inspired by the presentations regarding how authentic content can be used to make cultural products and themes a focus of the classroom experience. Since I teach and coordinate a class for intermediate-level learners, it was especially useful to see examples of how people have made this work at the intermediate level. It was also beneficial to see this approach in terms of a multi-literacies model. This was very timely in terms of my current job priorities, and will be applied to my work right now, as well as in the future. Finally, I was challenged to think about our role as course coordinators in the field of second language acquisition research. Several sessions on the future of SLA research presented an emerging model of scholarship that calls for a mixed-method approach to answering key questions in SLA. I wholeheartedly agree that this approach is necessary and will advance the integrity of research in our field. However, the time and resources required to engage in this type of inquiry are not often available to course coordinators who do not hold a research position. At the same time, many of us are trained as researchers and occupy an enviable position for a researcher: having daily, first-hand interaction with learners in the classroom setting. Ideally, our field would be able to support connections between non-tenure and tenure-line faculty so that the knowledge, skills, and experience of both could work to advance the field, even (and perhaps especially) within this emerging model of research methods and scholarship. There's no easy answer for how to do this, but learning about and discussing the approach, as was done at the conference, is an important first step. 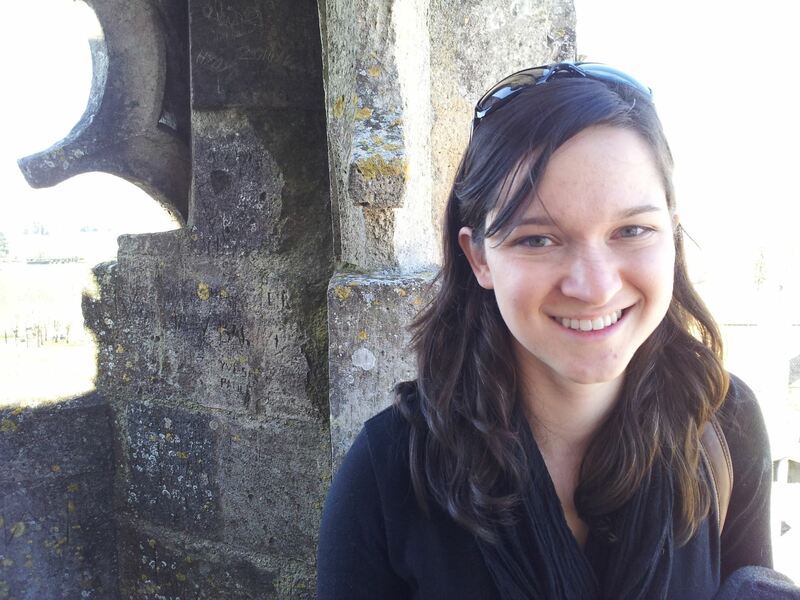 Anna Mikhaylova is a second-year Ph.D. student in Second Language Acquisition and a teaching assistant in French and Russian at the University of Iowa. Her previous degrees include a B.A. in Theory and Methods of Teaching Foreign Languages and Cultures from Moscow State Linguistic University and an M.A. in French Language and Literature from the University of Northern Iowa. Her current research interest focuses on the interface between second language acquisition and assessment, and she am also interested in intercultural pragmatics and online teaching and learning. This year, I participated in the ACTFL Convention for the first time which was a very exciting new experience for me. During the conference, I attended many presentations related to the topic of my future dissertation: assessment of second language writing. The professors with similar research interests provided me with multiple inspiring ideas for my future research study which will focus on the assessment of multi-modal texts. Furthermore, assessment in general is an integral part of any language program. At the AAUSC meeting, I received numerous valuable practical recommendations from language program supervisors and coordinators on how to assess students’ writing. Now, I see a lot of potential for the future improvement of the current assessment practices at the language program at my university, for instance, development of more extended assessment rubrics and inclusion of peer or self-evaluation practices. 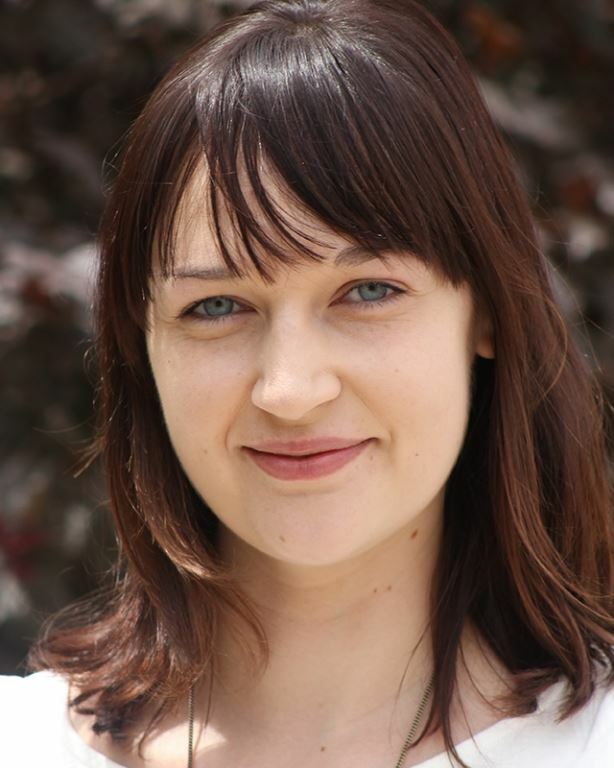 Kelsey White graduated with a PhD in German Applied Linguistics from the University of Wisconsin-Madison in 2015 and has recently joined the faculty in German and Slavic Studies at the University of California Santa Barbara. 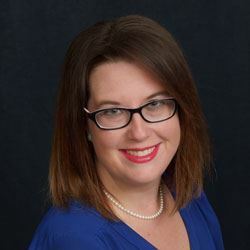 Her research interests center around computer-assisted language learning and how technology can be used to meet ACTFL’s Communities Standards. She has also been very involved in the training and mentoring of foreign language graduate student teaching assistants and plans to continue professional development in this direction through involvement in AAUSC. This year's ACTFL was a great experience for me. As a new faculty member, networking with colleagues was far and away the best part of the conference. I think sometimes as a LPD, one can feel a bit isolated; you play a unique role in your department and often have to make big decisions by yourself. That?s why it was really great for me to meet with other folks who face similar challenges; now I know who I can reach out to for advice or input! Another really valuable aspect of this year?s convention was the AAUSC German Section Meeting. In addition to the networking, I heard three really great presentations on teacher training and materials design which will definitely be useful for me next year when I take over the training of German TAs at UCSB. Finally, at that same meeting, we had a really interesting conversation about how our student bodies are becoming more and more diverse, and we discussed the need for more exploration of how to better serve the international students in our language classes. I?m looking forward to continuing this conversation in the coming months and at next year's conference!